for colours available please click on picture. Packed in sets of 12 ribbon rolls. 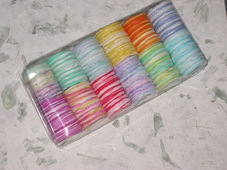 Packed in sets of 12 ribbon rolls in 12 marbled pastel colours.